Effective email marketing. How to start? In this article we will clarify how to start email marketing and avoid mistakes from the beginning. We will also review the right and legal ways of collecting email addresses and how to segment the contact list. From the legal perspective, if you don’t do it, users can sue you for using their personal data without permission. If you know from which countries your subscribers are, it is better to check the legislation on personal data processing of that country. If you have subscribers from EU — good news, you don’t need to comply with multiple regulations. Instead, you need to conform only to the GDPR. Find the answers to the most common questions about GDPR through this link. There is no need to operate unfairly collected emails as users will unfollow you, having received your first email. The emails will have much higher open rate and click rate if users subscribe voluntarily. To increase their desire to subscribe you can let them choose what they subscribe for: only articles, news about the company or only upcoming events. The safe and right way is to set up double opt-in. It is a process when a subscriber receives an automatic email where he/she needs to confirm their subscription by pressing a button or clicking on a link. An example of double opt-in letter. Tip: you should never buy a contact database. It is a complete waste of money and it can be harmful to business. If you send email on behalf of an advertiser and some of the recipients who didn’t agree to receive your emails complain to some legislative body and this body decides to fine the advertiser, you will have to pay the fine and will also be banned from the offer and affiliate network. Moreover, sending unsolicited emails is likely to result in recipients marking your email like spam, which can get you banned from your email service provider. The first thing that comes into the mind when thinking about gathering emails is a subscription form. It should be placed where the website visitors will definitely see it. For example, in the header of the website. At the same time placing it in the footer can be risky as not many users will scroll down to it. Place it in the header. When users visit your page for the first time, they check all headlines and contents of the website, so they will see it and subscribe to your news. Set up a pop-up. When visitors start scrolling your website the pop-up appears and there is no chance that anybody can miss it. A good example how to use pop-up. Put a checkbox under the signing up form where users will need to tick the box or it will be automatically done for them and they will remove it if needed. But make sure that you explain to the users what they subscribe to, add something like “I agree to receive news to stay updated”. An example how to put a checkbox. Place it on the contact page. If you have a separate page with news/blog, don’t forget to let your readers subscribe to you there. If they enjoy your content, they will want to receive it via email so that they don’t need to open the website daily to not miss something important. Sidebar is also a nice place for the form. There is nothing wrong that you put subscription forms in several places on your website, it won’t look officious unless you set 25 pop-ups on each page of your website — and this can annoy visitors and make them close the website. Discounts. Yes, they will work in this case as well. 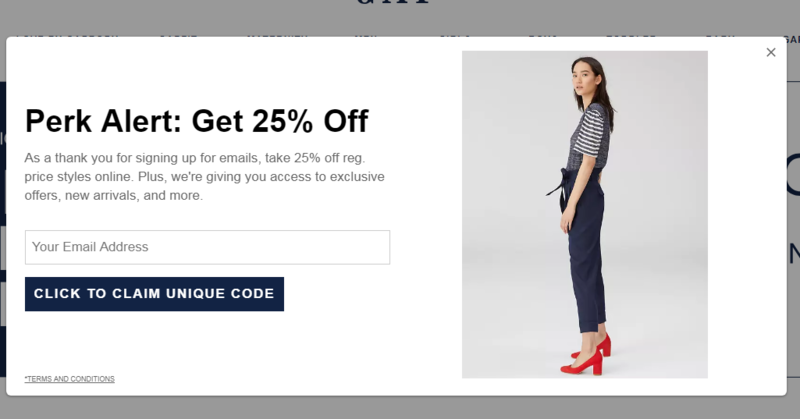 You can offer a special discount for the next purchase but for getting it, the users will need to leave their email. Promo code for a free accessory/product/other bonus in addition to the purchase. Free delivery. You can offer it to the customers if they leave their email address and buy anything within one session/one day/some certain period. Announce an exclusive product/deal/course that will appear in some time (indicate the time). If users want to find out about the release day, they will need to leave the email so that to receive the letter with the news. Competitions/ giveaways. It isn’t necessary to make a competition with the last iPhone or a brand new watch prize. Everybody likes presents even if they are small. Thus users will gladly leave their email to have a chance to get a gift. Special report/ white papers. If you have some exclusive information (research, report, useful unique materials), ask your visitors to leave their email to get it. It is a very common practice when huge companies share their reports only via email. But don’t forget to emphasize that users will get it for free. 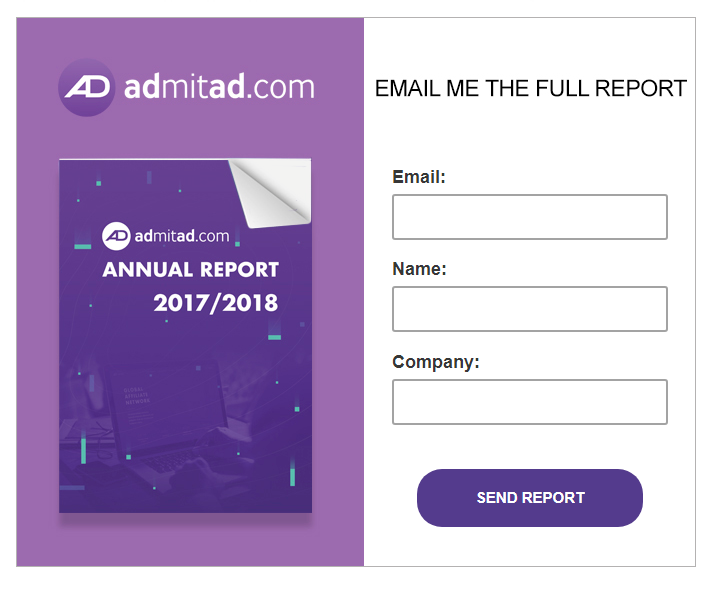 A form for collecting emails to get the report. Online or offline events. You can hold some events to meet your customers/partners and to communicate with them in real life what can increase your partnership. Set the obligatory registration via email and you will get many new contacts. Base segmentation is used for improving the open rate, subscribers involvement, loyalty and conversion. Before conducting base segmentation, it is necessary to understand that it actually relevant for the blog. For example, If you have a blog about hamsters and their life, it’s hard to segment contacts and it is useless as all your users have subscribed to receive information about hamsters. But base segmentation is essential for big companies or companies which have different audience as wrong emails to wrong subscribers can lead to contacts loss. 1st situation: an online shop selling gadgets sends an email with discounts for the loudest speakers to a 30-year-old woman who has recently purchased the baby monitor. 2nd situation: a fashion online shop sends to a man an email with autumn collection for women. It’s likely that these two recipients will unsubscribe simply because the email content is unrelated to them. In order to segment the contacts successfully, it’s necessary to obtain information about the users who subscribe to receive your email. The easiest way to gather information is to ask users to fill out a brief form while subscribing. But keep in mind that people don’t like sharing personal information on the Internet so make the form brief but useful. Useful information which you will need is gender, date of birth and location. Having obtained these data, you’ll be able to conduct primary segmentation. Tip: the only obligatory field should be the email address, the rest fields users should fill out voluntarily. But you can indicate that you need a date of birth in order to send special promo codes to congratulate the users on their birthdays so it will be the additional motivation. Furthermore, if users didn’t fill in the personal information, you can remind them later. For example, after being subscribed for four months, the users will receive an automatic letter asking to provide basic personal information such as name, gender and date of birth, interests and so on in order to send more personalized selection of materials and to provide some promo codes. Demographic. If a company sells clothes or gadgets, it is wise to segment the contact base by gender, age and location. It means that the emails about the trending shoes and skirts should be sent to women, the emails about best suits — to men. Interests. The easiest way to find out the subscriber’s interests is to send them a survey with several questions where they should pick something they like. For example, a fashion online shop can send women a survey letting them choose if they would buy a skirt or shorts, high-heel shoes or sneakers and so on. It will help to understand what a user likes and send the emails in accordance with it. Preferences. Let the subscribers choose the frequency of receiving the email, it will increase the open rate and loyalty as they will choose what’s convenient for them. If they are ready to read you once a week — cool, send them emails once a week, if they would like to receive once a month — perfect, send them a digest with all upcoming events at the beginning of a month. 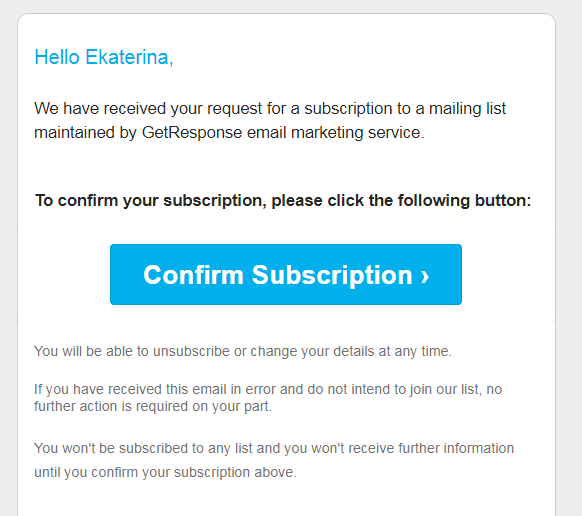 Even if you don’t want to let the users choose the frequency in the beginning, provide such opportunity when they click on unsubscribe, there is a chance that they just don’t want to receive the letters so often, but they like the company so giving a choice can help to retain subscribers. Active or inactive subscribers. Inactive subscribers are those who haven’t opened your emails in some period, it can be a month or three months — each company sets their own period. 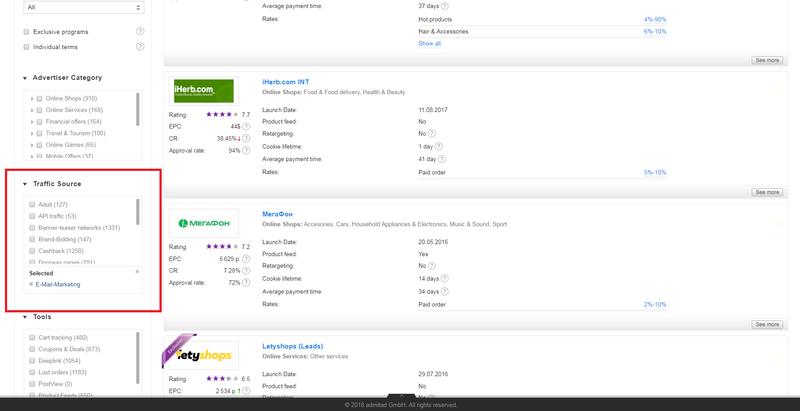 In order to reactivate such users, send them emails with special promo codes, discounts or any other deal. As for active users, keep interacting with them the same as you did — send them emails with your regular content but add some freshness by inviting them to take a quiz or answer several questions about the content — people love such kind of entertainment. New/old subscribers. 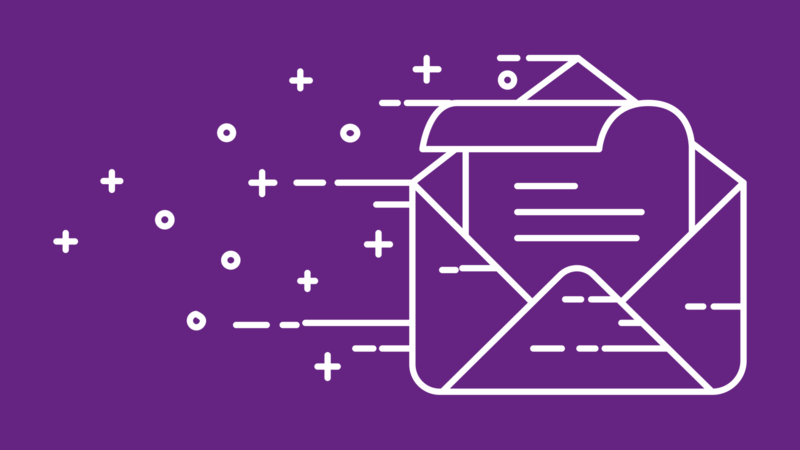 When users subscribe to receive the emails, it is wise to send them a “welcome letter” with an introduction to your company, its services and other basic info. Advertisers pay special attention to how a publisher has gathered the contact base as if it has been collected illegally/ without subscribers’ permission, it may harm the company reputation. So you will be requested to prove that your subscribers have agreed to receive email. In addition, the ad space should correspond to the advertiser’s category. A coupon website can send emails with special coupons for any product category. But if a blog about traveling sends emails promoting goods for children, it may confuse subscribers. As we mentioned before, advertisers should be very careful when allowing email marketing as a traffic source. It is an effective source but it is better to set a rule that email marketing should be done only upon approval to be sure that there will be no harm to the company reputation. Publishers, who use email marketing, usually have high conversion rate, as if the contact base has been collected legally and fairly, subscribers will be potential customers and make purchases. If you are a publisher with such kind of contact base, you need to sign up for the affiliate network, find the right offer which allows email marketing as a traffic source and corresponds to the interests of your subscribers. If you want to find all offers which allow email marketing, go to the section “All programs” and use the Traffic source filter. Here is an introduction to email marketing. The next articles will be dedicated to how to compose a letter, which services you can use and other details.